Objective : improve night-time visibility of the tram line. Standard white 360° ROADMARKERs installed. 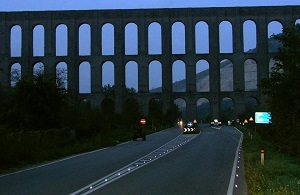 Traditionally, road markings are done with paint. 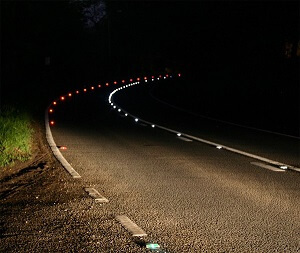 However this can lose its effectiveness in certain layouts and conditions, and therefore needs increased visibility at night and in the rain. 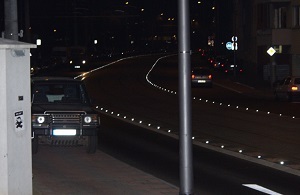 • Road studs are simple, high performance tools for effective marking at night and in the rain. Using studs also has another interesting effect: driving over the studs produces a rumble from the successive impacts and warns drivers. This helps avoid head-on collisions and minimises the risk of leaving the road. • Studs with inbuilt solar panels provide more visible marking, a scale of the danger and an active tool that is effective and visible from much further away. 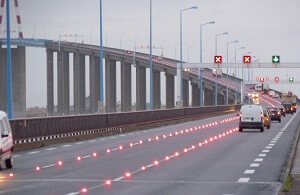 • The High Power LED wired stud is currently the best performing product for activated day and night safety marking. 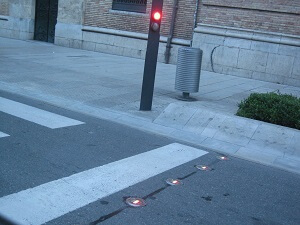 It provides safe guidance to users at dangerous crossing points. • The recommended surface stud is the retro-reflective tempered glass stud developed by Cryzal. This stud is sealed into in a drilled hole. 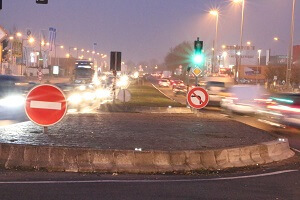 It provides effective marking of roundabout and other concrete-edged installation approaches. It has an excellent product life, even when used in heavy traffic (>5 years with less than 5% breakages under normal traffic conditions). This solution only operates at night. 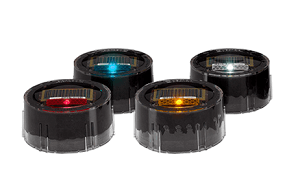 • The High Power LED wired stud provides safety markings both day and night. 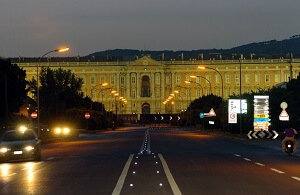 The power of the LEDs emits a light beam > 120 lux at 1m. 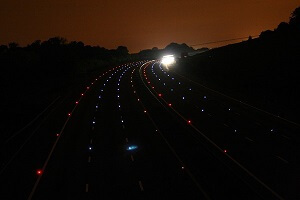 This is currently the ideal tool for marking out complex single points, even those with heavy traffic (motorway). This stud is interesting for a number of road applications: pedestrian crossings, wrong ways, dangerous bends and dynamic road channelling.